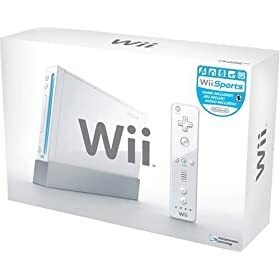 Wii Bundle Deal!!! Hurry – One Week Only! This is a great deal! The Wii is normally $199.99 and the Wii Fit Plus (with board) is normally $99.99. Right now you can get both for $289.98 and you will get a bonus $50 Amazon gift card! If you are looking for a Wii then I don’t think you will beat this deal. The Wii Fit Plus is GREAT! It has games and exercises and you don’t even realize you are working out. I love mine. You can use the bonus card to get more Wii games or save it for the Amazon Christmas deals.Animal Crossing: City Folk is still on sale for $29.97 (normally $49.99) and it is a pretty fun game. To get this deal just go to to the Wii Bundle Deal and add all three items to your cart. The price of the $50 gift card will come off at the end. This deal ends Sunday Nov 22nd so hurry! Thanks to Cents Saving Mom for alerting me to this deal. You're welcome 🙂 We got ours from Costco last year. I love it! Previous post: Free 8×10 Canvas Picture – Use as a Gift! Next post: The Secret Language of Money and a Giveaway!